Printed and published by Joseph Mansell using the George Baxter's patented Baxter Process. Size 5.5 x 8 cm approx. 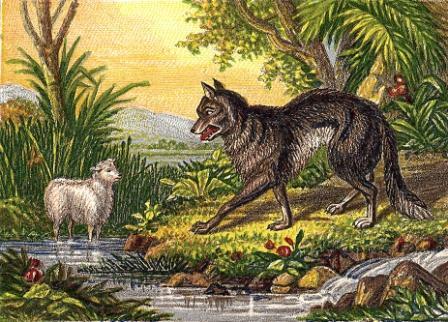 One of 12 illustrations printed on one sheet, all featuring well known scenes from Aesop's Fables.